Highly spiritual and musically steadfast, pianist Joel Weiskopf had been making head turns for quite some time with appearances on both his brother Walt's acclaimed series of recordings before travelling on his own maiden voyage as a leader. 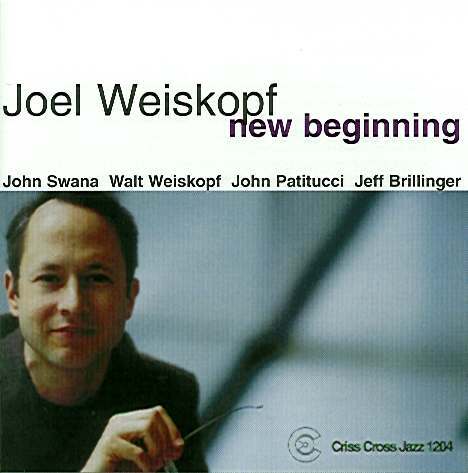 As a follow-up to The Search , an even more impressive New Beginning gives us a broader picture of Weiskopf's talents as both a pianist and a writer. Working in a quintet with his brother Walt on tenor, trumpeter John Swana, bassist John Patitucci and drummer Jeff Brillinger, Weiskopf presents eight distinctive compositions that are as deeply satisfying as they are harmonically complex and innovative.